Erythropoiesis was studied in 11 subjects submitted to a 4-h hypoxia (HH) in a hypobaric chamber (4,500 m, barometric pressure 58.9 kPa) both before and after a 3-week sojourn in the Andes. On return to sea level, increased red blood cells (+3.27%), packed cell volume (+4.76%), haemoglobin (+6.55%) (P<0.05), and increased arterial partial pressure of oxygen (+8.56%), arterial oxygen saturation (+7.40%) and arterial oxygen blood content (CaO2) (+12.93%) at the end of HH (P<0.05) attested high altitude acclimatization. Reticulocytes increased during HH after the sojourn only (+36.8% vs +17.9%, P<0.01) indicating a probable higher reticulocyte release and/or production despite decreased serum erythropoietin (EPO) concentrations (−46%, P<0.01). Hormones (thyroid, catecholamines and cortisol), iron status (serum iron, ferritin, transferrin and haptoglobin) and renal function (creatinine, renal, osmolar and free-water clearances) did not significantly vary (except for lower thyroid stimulating hormone at sea level, P<0.01). Levels of 2,3-diphosphoglycerate (2,3-DPG) increased throughout HH on return (+14.7%, P<0.05) and an inverse linear relationship was found between 2,3-DPG and EPO at the end of HH after the sojourn only (r=−0.66, P<0.03). Inverse linear relationships were also found between CaO2 and EPO at the end of HH before (r=−0.63, P<0.05) and after the sojourn (r=−0.60, P=0.05) with identical slopes but different ordinates at the origin, suggesting that the sensitivity but not the gain of the EPO response to hypoxia was modified by altitude acclimatization. Higher 2,3-DPG levels could partly explain this decreased sensitivity of the EPO response to hypoxia. 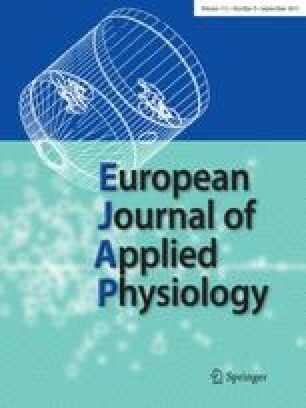 In conclusion, we show that altitude acclimatization modifies the control of erythropoiesis not only at sea level, but also during a subsequent hypoxia. The subjects of the Mountain Club of the ESSA LYON-BRON are acknowledged, as well as the technical assistance of A. Alonso, A.M. Hanniquet, J. Denis, A. Vouillarmet, R.M. Cottet-Emard and F. Grimbert. A special recognition is given to Médecin général Jacques Bittel.